If you’re looking for somewhere inspirational for an event or an unforgettable client party, get in touch with We The Curious. Bristol’s centre for science and curiosity offers flexible corporate venue hire spaces to suit all needs. The team are all about collaboration and will work with you to bring your event to life. Summer party packages – booking up fast! Indulge in a spiced rum mojito whilst enjoying exclusive access to We The Curious’ science exhibition floors. Play, be inspired and connect with colleagues, clients and friends. Then enjoy your own private party on one of Bristol city centre’s best kept secrets – a sun soaked, rooftop terrace – complete with sizzling BBQ, bar and deckchairs. Available May to September with prices starting at £36 per person. With spaces available for hire within We The Curious itself, the Planetarium and the neighbouring Aquarium and IMAX, We The Curious offers some of the most quirky and versatile spaces in Bristol. You could entertain your clients with a full dome private screening, hire an exhibition floor or host an awards ceremony or celebration with stunning views over Bristol harbourside. Whether you need to run a conference or an essential boardroom meeting, We The Curious can help with space, catering, AV and anything else you may need. Experience ‘Winter Wonder Lab’, complete with access to the science centre, Lab Bar and a rooftop festive feast. Or explore the night time underwater world of Bristol Aquarium, dine and dance the night away with ‘Wonders of the Deep’. Prices start at £37 per person. 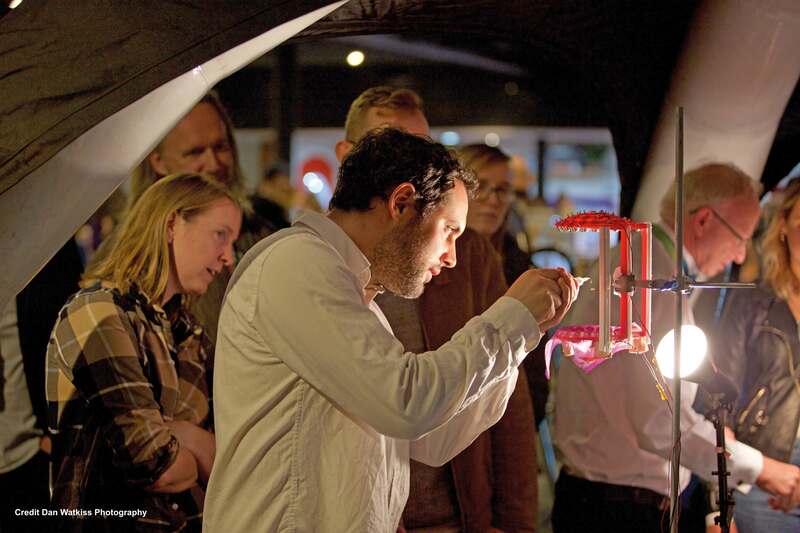 As well as enjoying a truly unique event, you’ll also be helping We The Curious to fulfil their charitable mission to break down boundaries around science. And helping to continue their work with community groups and school children across the city. Get in touch with their dedicated event team today to find out what they can do for you.